In: UNIPORT part-time certificate and diploma 2016/17!! UNIPORT part-time certificate and diploma 2016/17!! Candidates must have three (3) Ordinary Level Credit passes in the WASC/SSCE/NECO/GEC at not more than two (2) sittings. Candidates must have four (4) Ordinary Level Credit passes in the WASC/SSCE/NECO/GEC at not more than two (2) sitting, including English Language and Mathematics. • S/Nos. (1) – (6): Candidates must have three (3) Ordinary Level Credit passes in the WASC/SSCE/NECO/GCE at not more than two (2) sittings, including English Language. Working experience in the related area will be an added advantage. • S/Nos. (7) and (8): Candidates must have three (3) Ordinary Level Credit passes in the WASC/SSCE/NECO/GCE at not more than two (2) sittings, including English Language and Mathematics. Working experience in the related area will be an added advantage. Candidates must have three (3) Ordinary Level Credit passes in the WASSC/SSCE/NECO/GCE, obtained at not more than two (2) sittings. Candidates must have four (4) Ordinary Level Credit passes in the WASC/SSCE/NECO/GCE at not more than two (2) sittings, including English Language. 18. Strategies for Mitigating Greenhouse Gas Emission with Changing Climate. Candidates must possess relevant or related practical experience. • Possession of Higher National Diploma (HND) or First Degree in Agriculture, Fisheries and Forestry are added advantage. • Possess relevant or related practical experience. (c) Biology or Agricultural Science (and not both). (e) Any other subject (Economics, Geography, Further Mathematics, or Commerce). – Shall last between 10 to 21 days. – Shall last 12 Calendar months. NOTE: ONLY candidates with three (3) Ordinary Level credits passes in the WASC/SSCE/GCE/NABTEB/ NECO at not more than two (2) sittings are acceptable for registration. How To Apply For Uniport Certificate & Diploma Programmes Admission. 1. 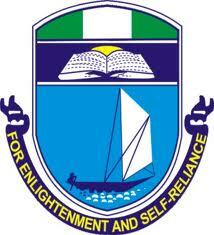 Application for the UNIPORT certificate and Diploma programmes is online. Log on to ashgrove-cce.uniport.edu.ng and click on Application Procedure in CCE; click on “Register”, sign up and print payments slip. Login back to your account and verify your payment using the confirmation order number on the eTransact receipt; fill in the necessary information and print your Photo Card. (between 9.00 a.m. and 3.00 p.m. on week days only). The Sale of UNIPORT part-time certificate and diploma application forms will end on Tuesday, 31st January, 2017. Lectures will commence in February 2017.